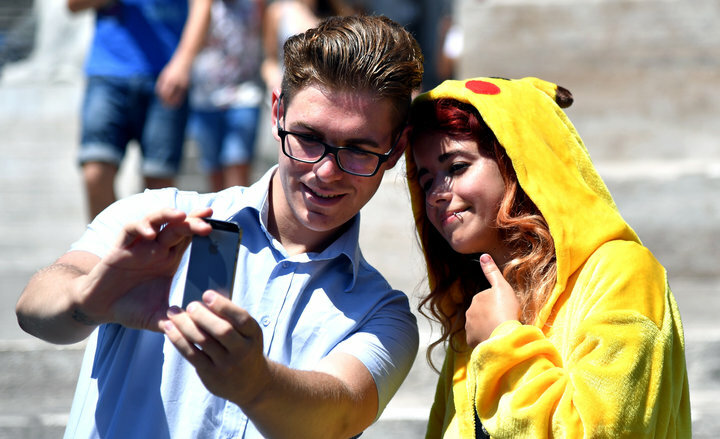 Gamers use the Pokemon Go application on their mobiles in central Rome on July 19, 2016. 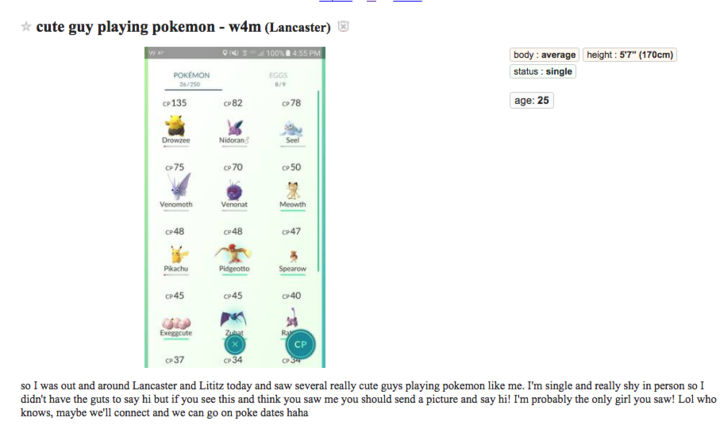 As Pokémon GO continues to sweep the nation as Americans try to “catch ‘em all,” many people are also catching the feels. 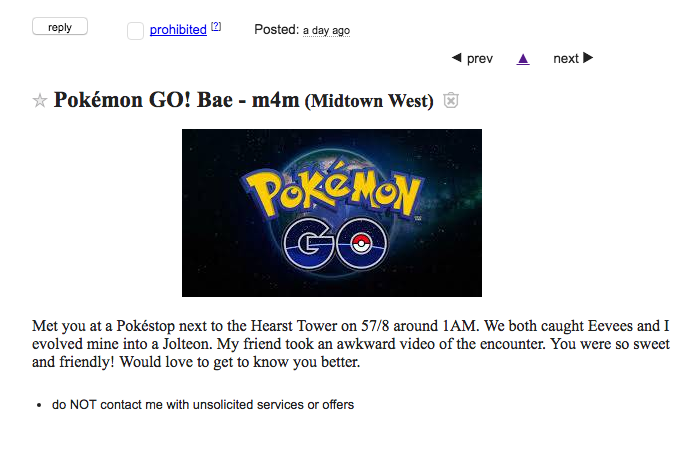 Unfortunately, in stereotypical-gamer fashion, players are a wee bit shy expressing their feelings in person and are turning to the missed connections section on Craigslist to find the Pikachu that got away.